Totti is one of the most charmed people that we ever meet. She prepares every morning a special and tasty breakfast. The room was clean and quiet, even when this one is next to the street. Really close to Termini and the city centre. There are some places near to have dinner. She speaks, Italian, French and a bit of English (she is studying Spanish as well). I highly recommend A Casa Totti! The host is absolutely lovely and was very helpful, despite the fact that she spoke very little English and we spoke very little Italian. She serves a delicious breakfast in the morning and makes sure that you get plenty to eat! She drew on a map all of the places we should see and how to get there. Her pet cat is very friendly and loves any attention. The bed was comfortable and all of the facilities were very clean. Was 3 minutes from the bus/train station! We only stayed for one night, but it was comfortable and convenient! Breakfast was great and it seemed super safe. 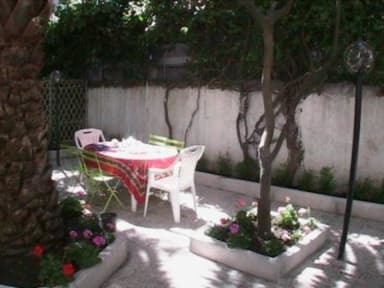 A really wonderful B&B only a 2 minute walk from Roma Termini station. The rooms were really great with good A/C (definitely needed in Rome in summer) and Mrs Totti is the best host. She serves a delightful breakfast with more cake than you can ever eat and it is delicious!! 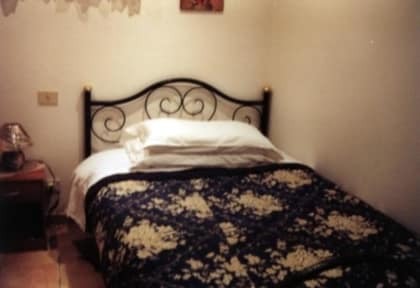 Although she speaks very little English she tries really hard to communicate and it was a pleasure to stay in her B&B. Would recommend for anyone looking for someone to stay in Rome!! Ms Tottis is a super sweet lady that tried to make you feel at home. The location was very close to the train station and bus stops which was confident for us since we were traveling around. It is kinda far from everything else 20-30 minute walk but you can take the metro or bus to most places to save your feet from blisters! The breakfast was delicious every morning and she really made sure we were full. The only this I didn’t like was not having my own bathroom. Ms Totti was absolutely lovely, although her English wasn't the best and we spoke no Italian she went above and beyond to make us comfortable and at home. Breakfast always left us feeling full. It was close to public transport, or an easy 30minute walk to the Colosseum and about an hour walk to Vatican city. The street was quite dirty, however there was a nice restaurant and a few mini markets so food was always close by. Also Ms Totti has a very cute cat! Totti was very nice but it was tough to communicate as we couldn't speak a word of Italian, and she spoke very little english. The B&B was cozy with probably the most comfortable bed in a hostel I've stayed at, but the entire apartment smelled very strongly of cat litter. This was quite disgusting while eating breakfast which she made every morning. Breakfast included coffee, cakes and toast. The wifi was very spotty in the bedroom.